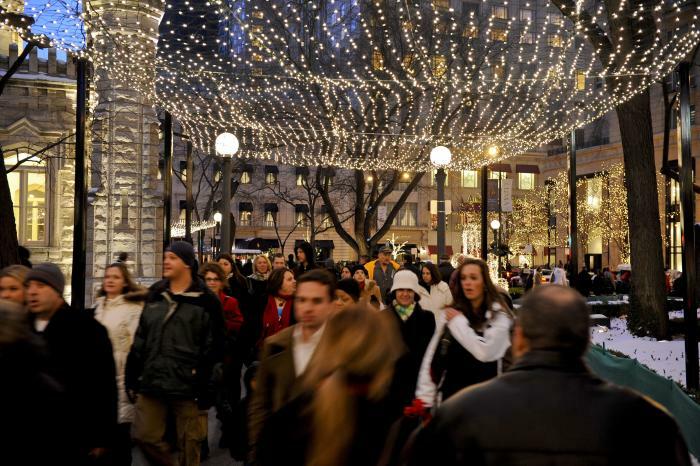 You can catch Santa all over Chicago during the holidays. He might be feeding hay to his reindeer at the Lincoln Park Zoo, sipping hot cocoa with Mrs. Claus at a cozy café, or hanging out in some of Chicago’s beloved museums. So if you’re looking for the perfect family photo for your Christmas card, grab your wish list and head to the city for a visit with Old St. Nick before he heads back up north. WHERE: DRIEHAUS MUSEUM, 40 E. ERIE ST. The holidays are the most wonderful time of year to visit the Driehaus Museum, which explores the art and architecture of the gilded age inside the meticulously restored Nickerson Mansion. During the holidays, the marble palace is done up with classic holiday decor and hosts activities for the entire family. Create a holiday craft, participate in a sing-a-long and snap a photo with Santa Claus before checking out one of the current exhibitions, like Treasures from the White City: The Chicago World’s Fair of 1893. WHERE: ANDERSONVILLE, CLARK ST. AND BERWYN AVE. 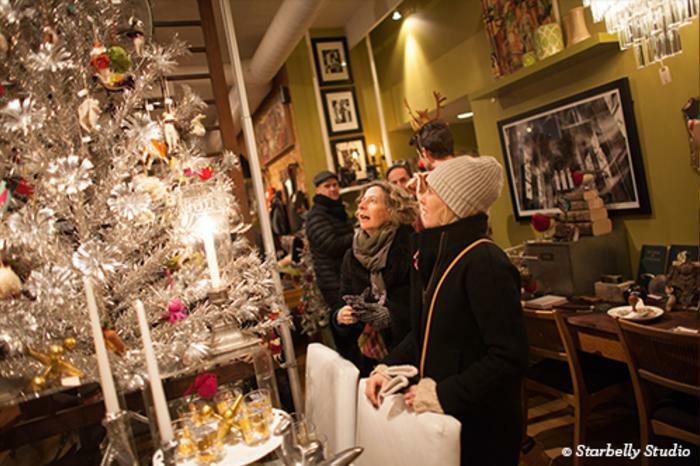 The charming north side neighborhood of Andersonville is a holiday delight thanks to sweet boutiques, holidays lights and a fun schedule of events and entertainment. Plus, there are plenty of opportunities to spot Father Christmas around the area. Follow along with the Andersonville Santa Tracker and spot him in different shops throughout the season. You can also write letters to Santa December 1-December 14 at Octavio Cantina & Kitchen: They’ll have a mailbox posted at the host stand. If you include a return address, perhaps Santa will write back! WHERE: MACY&apos;S ON STATE STREET, 5TH FLOOR, 111 N. STATE ST. Since the late 1800&apos;s, the department store on State Street has been stunning spectators with its iconic holiday window displays and dazzling decor. Today, Macy&apos;s carries on the tradition with Santaland, a magical holiday wonderland on the fifth floor where Santa sets up shop for the season. While you&apos;re there, write a letter to Santa and help make wishes come true: Macy&apos;s will donate $1 for each letter to The Make-A-Wish Foundation. You can also dine with Santa in the beautiful Narcissus Room on the seventh floor. Enjoy breakfast, lunch or dinner amid holiday entertainment, like face painters and balloon artists. Every year, Santa and his animal friends at the Lincoln Park Zoo welcome the holiday season with millions of festive lights during the annual ZooLights festival. Enjoy live music, holiday crafts and large-scale ice carvings before your visit with Santa Claus, who can usually be found in the Helen Brach Primate House. This year, the zoo will also be hosting a breakfast with Santa on Sunday, Dec. 16. 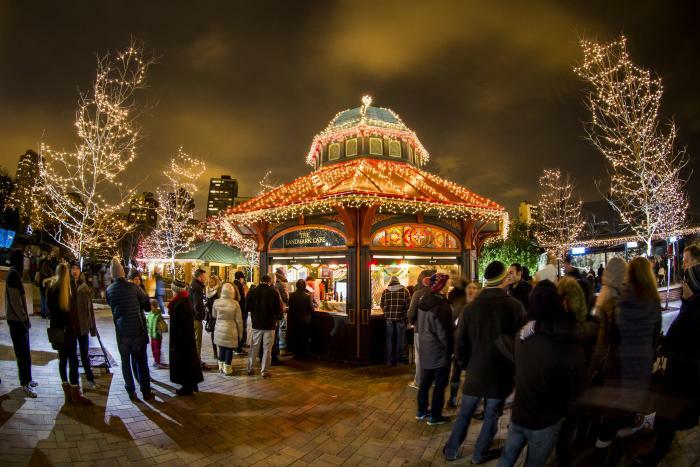 Santa always makes a pit stop at Navy Pier&apos;s family-friendly holiday festival. 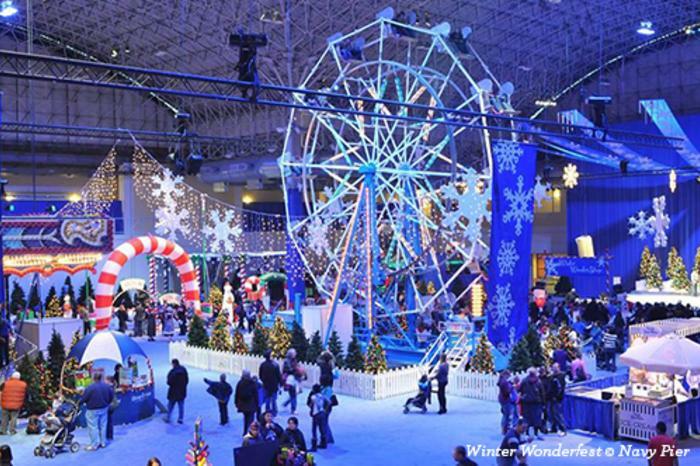 With 170,000 square feet of carnival rides, giant slides, activities, ice skating, and more, Winter Wonderfest shines as the city&apos;s biggest and best indoor winter playground. Visit Santa in his cozy indoor cottage from December 2 until duty calls on Christmas Eve. WHERE: 900 NORTH MICHIGAN SHOPS, 3RD FLOOR, 900 N. MICHIGAN AVE.
No need to wait in line to visit this mall Santa. The 900 North Michigan Avenue Shops offer a virtual line, so guests can shop or grab a bite to eat before they meet with Mr. Claus. Join the queue on level three, then head to the Holiday Lounge on level four for complimentary coat check, charging stations and gift-wrapping services. In the spirit of Christmas, Santa also gifts every kid — whether you pay for a photo or not — with a sweet little gift. 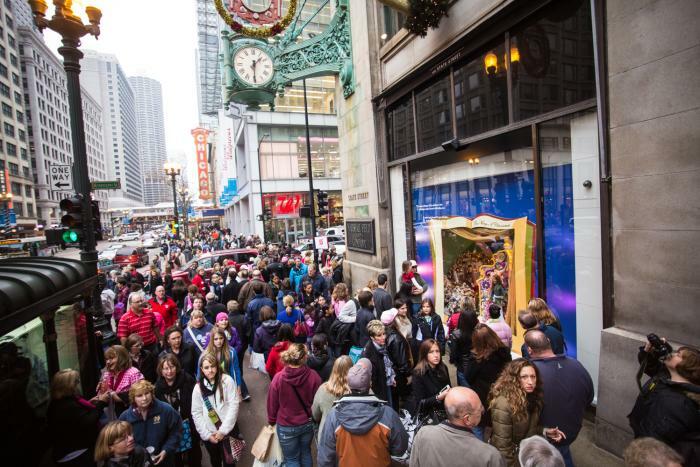 WHERE: WATER TOWER PLACE, LEVEL 7 NEAR HARRY CARAY&apos;S, 835 N. MICHIGAN AVE.
Each winter, Water Tower Place transforms into a kid-friendly wonderland, thanks to festive decor and popular kids&apos; shops like the American Girl Place and Lego Store. Make a reservation to see Santa so you can skip the lines and save more time for holiday shopping. Be sure to check out the special events throughout the season, including holiday PJ day, pet night and grandparent’s day. WHERE: CHRISTKINDLMARKET, DALEY PLAZA, 50 W. Washington St. WHEN: NOW UNTIL DEC. 24. GET SANTA&apos;S SCHEDULE. 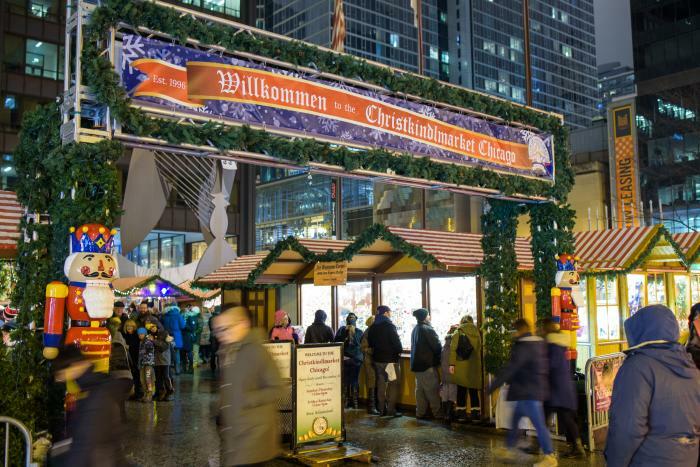 Inspired by the Christmas markets in Germany, the open-air Christkindlmarket in Chicago melds old-world tradition and local charm. You&apos;ll find Santa in his cozy cottage during market hours. Be sure to check out the wide array of vendors, featuring toys for all ages, jewelry, clothes, home décor, and wooden crafts. Plan on dining at the market, too, with authentic German treats like sausages, potato pancakes and apple strudel. Sunday, December 16; 11:00 a.m. to 2:00 p.m. – Sunday December 23; 11:00 a.m. to 3:00 p.m.
Santa Claus will visit Summer House Santa Monica to hear requests and hand out special holiday sweets to Summer House’s youngest guests. Sunday, December 16; 10:30 a.m. – 2:30 p.m.
Sunday, December 16 – Sunday, December 23; 11:00 a.m. – 2:00 p.m.
Santa Claus will be visiting Booth One&apos;s Library Bar on December 16 and December 23! Guests can participate in the toy drive for children ages 3-18 benefiting Catholic Charities of the Archdiocese of Chicago from December 1 - December 16 from 6:00 AM - 4:00 PM. Booth One will also have a full holiday dinner spread from 5:00 PM onward. Kids can take a photo with Santa and drop off their Christmas list, while the whole family will enjoy a three-course lunch with carolers and holiday decor.